Myth or Fact: Charcoal Can Spontaneously Combust? Charcoal and water do not mix well. 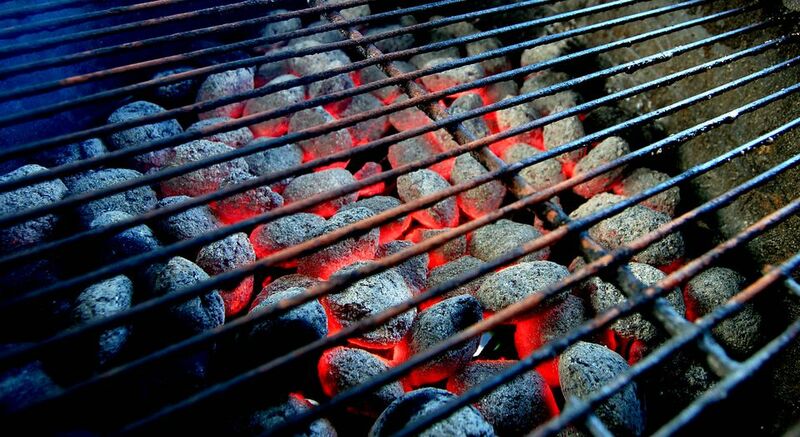 If you leave charcoal out, exposed to the rain, fog, humidity, or dew, you can lessen the lighting capacity of the briquets. The best option for storage is keeping the charcoal in a cool, dry place. Either a metal or plastic storage bin can work well for storage purposes. The best way to store coal is to keep it cool and dry. According to Kingsford, the leading seller of charcoal in the U.S., "Just grab the bag and bring it back into the garage with you, or roll the top of the bag shut and place it in an empty trash can or storage bin—with the lid on to protect it from the elements." Another way to store the bag is to close the bag it came in and put it inside a heavy duty garbage bag or contractor bag. If you have a desiccant, like silica, you can toss that in your charcoal storage container. Metal containers are generally recommended. Metal is fireproof and not as porous as plastic. Plastic can allow some air and moisture in even when sealed. A downside of metal is that it can rust out if left on a damp surface. It is best to elevate metal cans a few inches off the ground or put it on a shelf. What Happens if Charcoal Gets Wet? A myth has been circulating since the 1950s that if you store wet charcoal in a hot, dry place, then the oxygen in the air can cause the heat to build up and ignite the charcoal as a chemical reaction. "Spontaneous combustion has long been recognized as a fire hazard in stored coal. Spontaneous combustion fires usually begin as "hot spots" deep within the reserve of coal. The hot spots appear when coal absorbs oxygen from the air. Heat generated by the oxidation then initiated the fire." There is a big difference between coal and charcoal. Coal is mined from under the ground. It is the result of fossilized animal or plant material that has been compressed over a long period of time. Charcoal is the byproduct of heating wood at high temperatures with the water and oxygen removed. Both are fuels, but only one is used in barbecues. So, what happens if charcoal gets wet? Well, most commercial charcoal on the market is the byproduct of wood and kindling. If you have ever gone camping and know about making a campfire, then you know that the wood you need to collect for the fire is dry. Wet wood does not ignite or hardly ignites. The same can be said with wet charcoal. It may be hard to ignite. And, if it does ignite, it may not stay lit or get to higher temperatures like you might expect. Much like wet wood can dry out and be used for a campfire, once thoroughly dried, the same can be said for charcoal. A bag of charcoal left out of the rain may be salvageable if you lay out all the charcoal on a hot, sunny day. Flip the charcoal over the next day for two days of drying. Chances are the charcoal will be fine for use.